To a standing ovation yesterday, Eric Vivian Thomson, fondly known as Viv Thomson amongst wine industry peers, was announced Legend of the Vine Victoria at the annual WCA Melbourne Wine Show Awards Lunch. 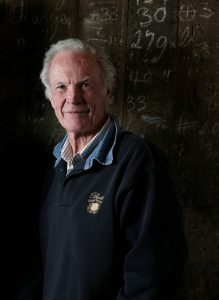 Thomson comes from a long line of winemakers and received ‘Legend of the Vine’ status for his service to the wine industry as one of Australia’s longest serving winemakers. 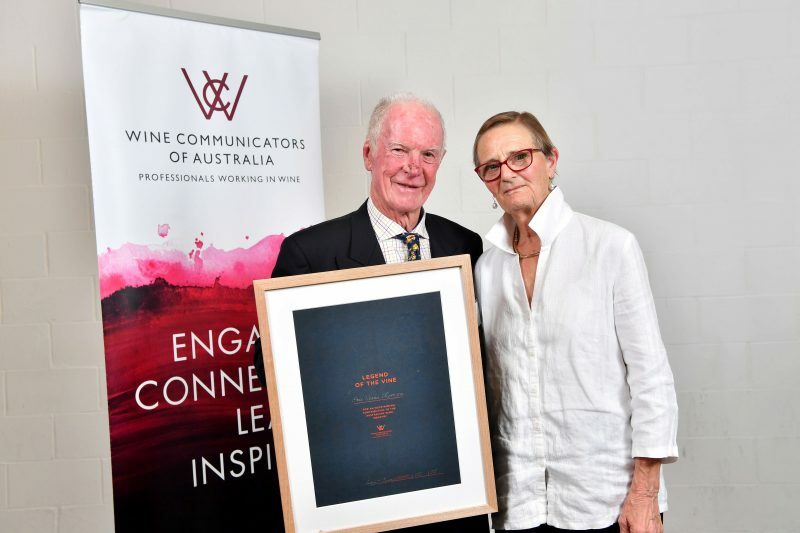 “Viv has made an outstanding contribution to the wine industry and is a highly respected figure amongst his wine peers in Australia,” said WCA National Chair Angus Barnes. Thomson descends from one of Victoria’s most successful wine families dating back five generations. Born and raised in Swan Hill, Thomson moved to Great Western as a six-year-old boy where his grandfather owned Concongella Vineyards in Great Western. Winemaking has always been a part of Thomson’s family – in 1920 his grandfather purchased Best’s Great Western where Thomson has spent majority of his career managing operations and acting as chief winemaker. A graduate of the acclaimed Roseworthy College in South Australia, Thomson spent three years studying agriculture before deciding it would be worth taking a crash-course in winery analysis. After returning from two years abroad, he joined his father Eric running the vineyard and making wine at Best’s Great Western, he also managed two wineries 230 kilometres apart from each other, one at Great Western and one at Lake Boga. Since entering the winemaking role in 1962, he has completed 51 consecutive vintages and was acknowledged for his service to the wine industry, awarded an Order of Australia Medal in the General Division as a part of the 2014 Queen’s Birthday Honours. During the Christmas period, Thomson would close the doors of Best’s Great Western as there was no cellar door to manage. He spent a week behind closed doors examining each barrel to ensure it was meeting industry expectations and would virtually plan a 12-month program for the business before pre-harvest. Best’s now operates across six vineyard blocks including Rhymney Vineyard, Concongella, Thomson Family Block, Nursery Block, Barts and Marcus and The Hill Block. The winery’s Concongella and Nursery Block was planted in 1868 by Henry Best, Best’s Great Western original founder. Thomson now considers himself the elder statesman of Best’s Great Western since handing over the reins of the business to his eldest son Ben. Viv has been recognised by the Melbourne Food & Wine Festival as a “legend” for his services to the wine industry and was also President of the Victorian Wine Industry Association for many years.